how lovely is this arrangement? 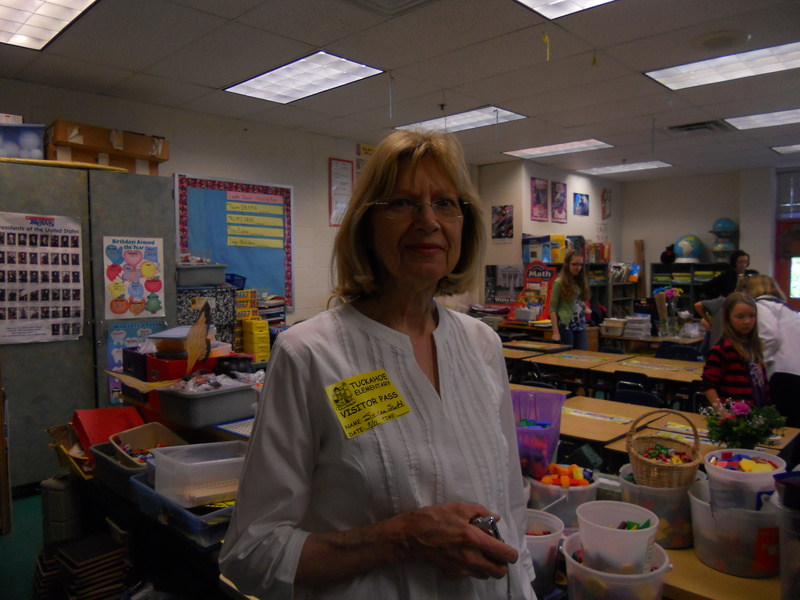 Rock Spring Garden Club’s partnership in education with Arlington County, Virginia Public Schools means so much to our club. 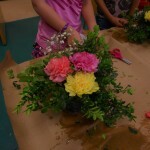 Our Youth Activities and Horticulture Therapy Committees are very rewarding experiences for those committee members. 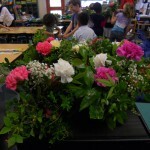 Our Junior Gardener Program at Tuckahoe Elementary School serves approximately 200 second graders. 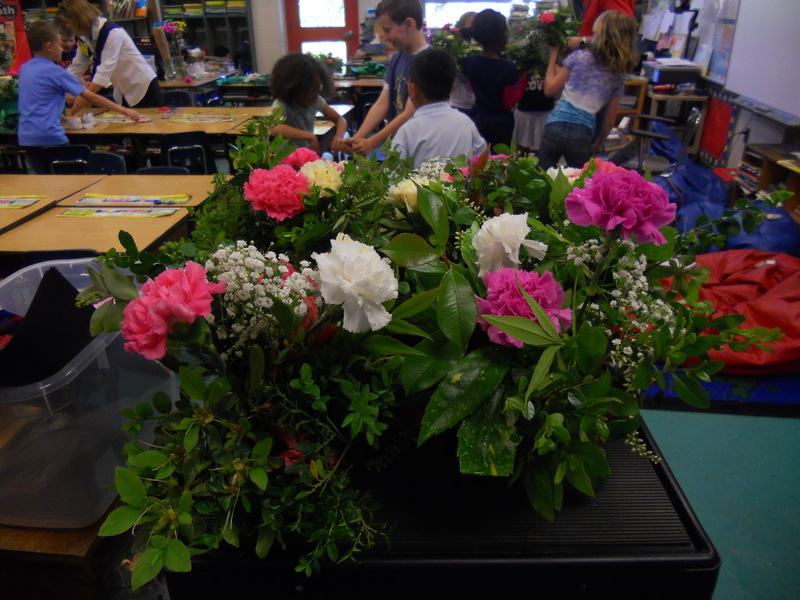 We have a wonderful, hands-on curriculum where we focus on nature, plants, seeds, birds and animals, the seasons, and floral design. 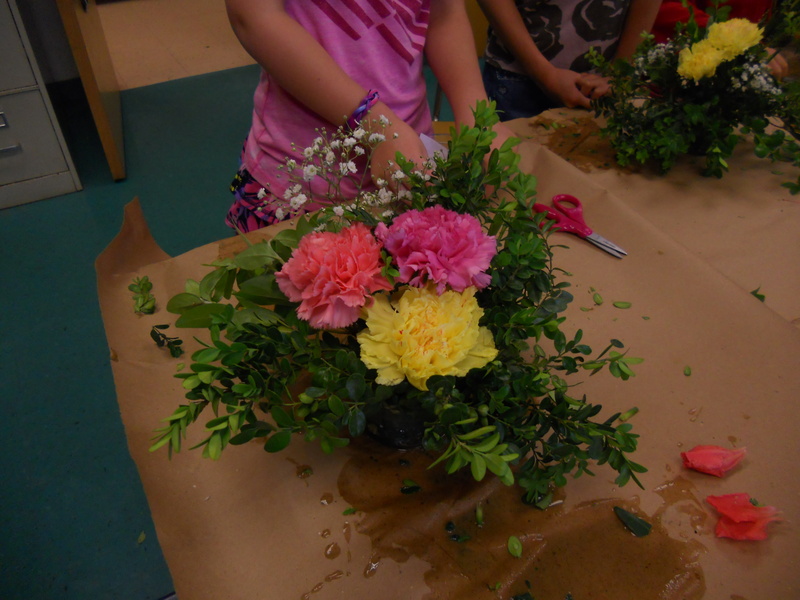 Each month’s lesson includes a project and we finish our year with every student making their own floral design to bring home for Mother’s Day. 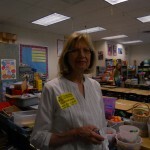 The students and classroom teachers are very enthusiastic and appreciative. With our Horticulture Therapy Program at Glebe Elementary School, we work with pre-schoolers with challenges. Our monthly lesson includes reading aloud about a particular topic related to plants, animals and nature. Creative lessons include making food for birds, planting seeds, the seasons, the sun and so much more. Committee members create lesson plans that include dress up as animals and write books. In both of our youth related programs, we have found that the children respond very positively to nature related subjects and they enjoy growing and creating their art. This past year, our Youth Activities Committee and our Garden Therapy Committee were recognized and awarded – both Virginia Federated Garden Clubs, Inc. and VFGC Piedmont District awarded Rock Spring Garden Club BLUE RIBBONS for Youth Horticulture Education in recognition of their work. In October 2015, Central Atlantic Region (C.A.R). will award Rock Spring Garden Club two awards for Horticulture Therapy education – one for our curriculm and program, and a Publication Award to a member who wrote a pre-school book for lesson use on planting a seed. National Garden Clubs, Inc. awarded a National Award of Merit for Horticulture Therapy in May 2015. RSGC was truly honored to be recognized for these ongoing, long term committee activities.